Independent bottlers are all the rage in the UK and throughout Europe but due to complex import, liquor, and tax laws, there aren’t many successful outlets in the United States. 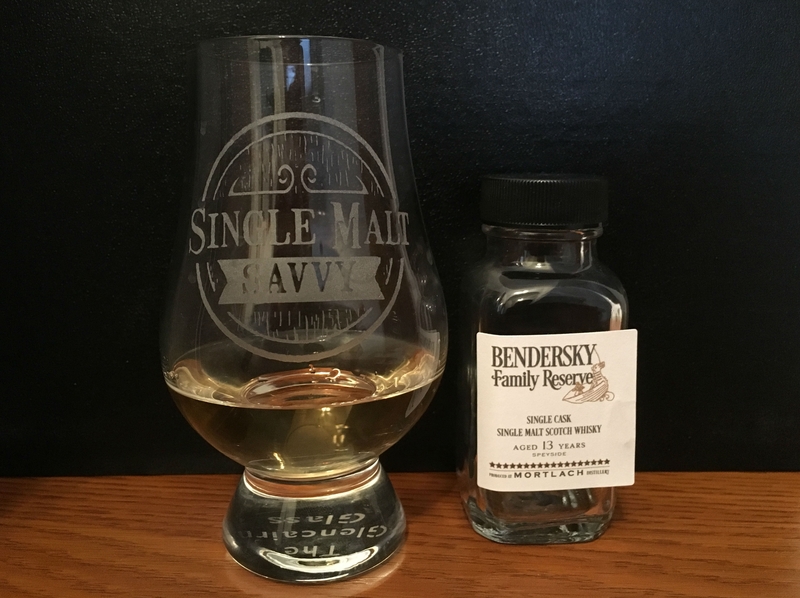 Bendersky Family Reserve is an exception to the rule. The inaugural release of the bottler is a single hogshead Mortlach that produced an outrun of 388 bottles. Limited indeed. This whisky entered Cask #32 in 2003 and was bottled in 2016 at 13 years old. I typically only buy sherried Mortlachs so this is going to be a real treat for me. Nose Bourbon-forward for sure, heavy on the vanilla, orchard fruits, clove, lemongrass, nutmeg, fresh-cut hay, hint of powdered sugar. Taste Dried cherries and raisins, vanilla, light oak, green apples, lemon-lime, orange peel. Unusually clean for a Mortlach. Finish A fruity blast, more apples, pears, lemons, some cinnamon, hint of coconut, almond. Good length. Overall Thoughts A single refill hoggy Mortlach isn't something I'd normally go for since I like my Mortlachs big and meaty but I'm really glad I got to try something from this distillery that I wouldn't normally seek out. The nose is a bit subdued but the finish really makes up for it. I like what the folks at Bendersky Family Reserve are doing and am interested to see what they come up with next!